you ever questioned what exactly goes on inside the creative minds of beauty industry heavy-hitters? Step into the pages of Sephora, where the top beauty authorities give you access to their private domains. Spend the day with Vincent Longo backstage at fashion week, create red carpetâ€”worthy hair with celebrity hair stylist Oscar Blandi, master the smoky eye with Hollywood's hottest makeup artists, and take a tour of Dr. Nicholas Perricone's kitchen with his refrigerator full of skin-perfecting foods.In Sephora: The Ultimate Guide to Makeup, Skin, and Hair from the Beauty Authority, fashion and beauty journalist and former Sephora beauty editor Melissa Schweiger personally introduces the people behind some of your favorite brands and fills this gorgeous book with the beauty secrets usually reserved for insiders. 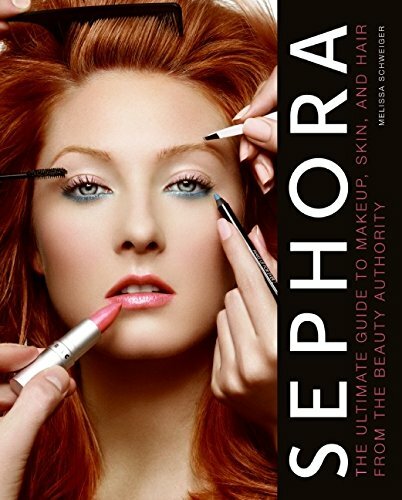 Each photo-packed page brims with words of wisdom and expert advice from the creators of and authorities on more than two hundred classic and emerging beauty brands sold at Sephora, including LORAC, Smashbox, Too Faced, Dr. Perricone, FrÃ©dÃ©ric Fekkai, and many, many more.Each chapter is designed to mimic a Sephora store's "try everything" vibe while revealing the finest beauty tips and tricks for getting creative with cosmetics. From an A-to-Z glossary of terms and ingredients and a shopping guide to the best products, to detailed explanations of how to properly use cosmetic tools, Sephora is the complete beauty package that no woman will want to be without.